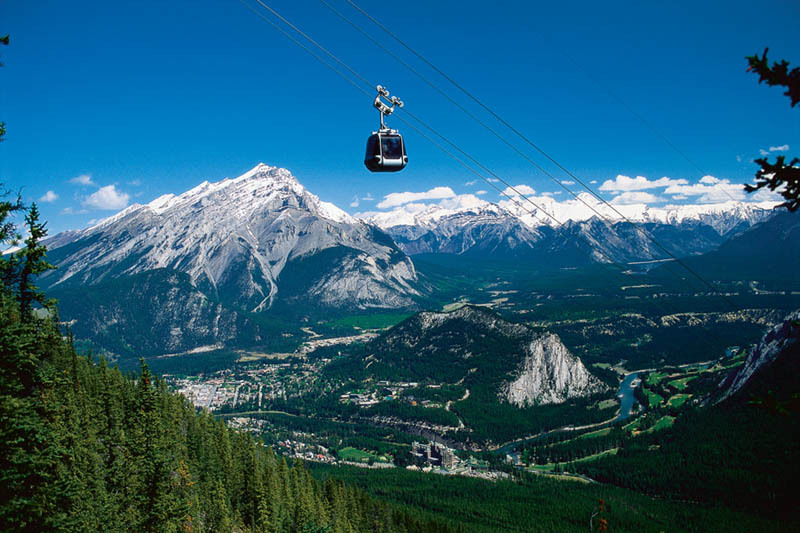 BANFF, ALBERTA, Canada – Get a bird’s-eye view of the Canadian Rockies by traveling up Sulphur Mountain in Banff, Alberta. Available year-round, this is a fun activity to take in an incomparable view of six different mountain ranges. Riding the Banff Gondola takes about seven minutes and travels 2300 miles above the parking lot in Banff, Canada. Once you reach the summit, you can tour the sightseeing shop and eat in an authentic Rocky Mountain restaurant. If you’re looking for more things to do in Banff, Canada, there is a hike along a boardwalk at the summit of Sulfur Mountain. From here you can gain an even better view of the Canadian Rockies, catching sight of Cascade Mountain, Mount Brewster, Mount Aylmer, and Tunnel Mountain. When you’re done adventuring, check out the hot waters of the Upper Hot Springs, right next to the Banff Gondola if you need some rest and relaxation! This is a sight not to be missed, whether you’re flying solo or with friends or family.